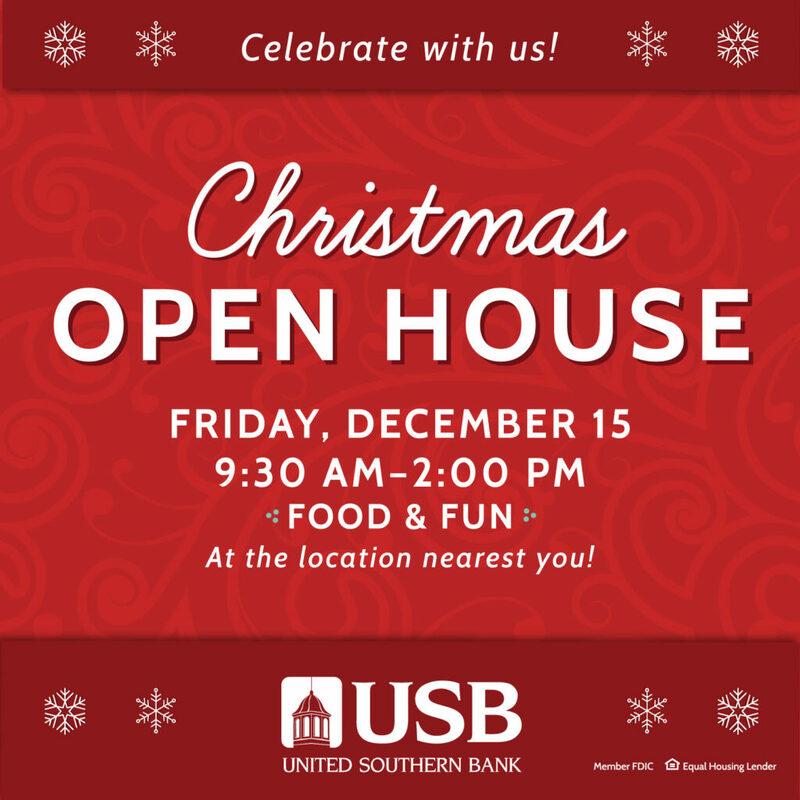 Please join us as we celebrate the season with our banking family. Stop by your nearest branch for some refreshments and fellowship. After all, Christmas is all about sharing time with the people you appreciate and at USB, we appreciate you! « USB: October Project Fun Event!